How I Met Your Mother Review: "The Final Page Parts 1 & 2"
The first thing I’ll say about The Final Page is How I Met Your Mother has finally made a step away from simply treading water and back into some action that propels the show along. For most of season 8 we’ve had to suffer through poorly written episodes that have provided little in the way of plot development and sparse moments of humor that were hardly satisfying enough to keep fans of the show happy. It was safe to assume big things were coming purely because of the fact it was a a two-part episode. 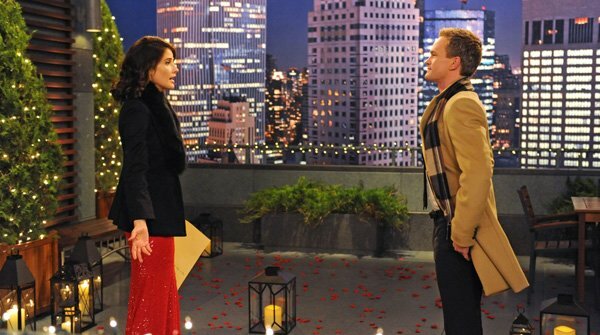 The only other two-part that the show has done was in season 7, The Magician’s Code, which was also the only other episode where Barney proposes. The first half hour features Barney getting jinxed, the rest of the group talking about how everyone has someone they would throw in a pit if they could, and Robin firing, then rehiring Patrice. Guest star Seth Green was certainly one of the highlights of the episode. He plays Daryl, an acquaintance of Marshall and Lily’s, who hacky-sacked with him once in college. From that point on he obsessively hunts them down trying to be much better friends than they are. When Daryl takes them to his basement to show them a surprise, they naturally assume he’ll be throwing them into his Silence Of The Lambs-esq pit. Fortunately for them, he’s not intent on having them lotion up their skin, rather he wants to give them a check for $100,000 for helping come up with the idea for his hacky-sack store “The Three Hackmigos.” Unfortunately for them, they insult him and accuse him of trying to murder them before he reveals the check, at which point he lets go of his obsession with them and tears up the check. Another excellent part of this episode was the whole jinx concept. Instead of referencing times past with no relation to previous episodes, as they have done frequently in recent weeks, this time they reference an actual thing that happened in an earlier season, thus giving a sense of a complete story, and not something just thrown in as an afterthought. Barney takes jinx seriously because the last time he talked after being jinxed he was hit by a bus (season 3, Miracles). When Barney’s jinx is finally broken, he tells Ted that he plans to propose to Patrice, even showing him the ring, but he doesn’t want Ted to tell anyone. Obviously this is going to be hard for Ted, but he agrees to keep Barney’s intentions a secret. In the second half of the episode, Ted prepares for his building’s grand opening while struggling with not telling anyone that Barney plans to propose to Patrice. While that is going on, Lily and Marshall finally have a whole night to themselves, which they plan to spend romantically, but they can’t stop worrying about Marvin. Ted finally gives in and tells Marshall, who tells him not to tell Robin, since he thinks maybe Ted and Robin are still good together. Marshall is the ultimate example of a great friend time and time again, and this was another. The prime example is when he told Robin she had to move out, but tonight, he tells Ted he’s sick of seeing Ted put everyone else first, and for once he wants to see Ted do what makes him happy. 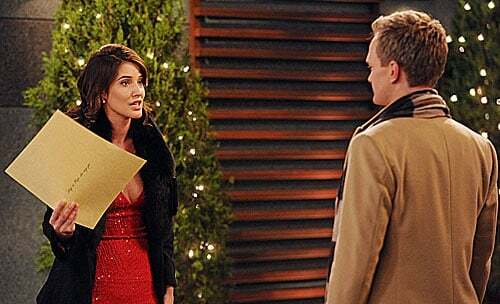 Ultimately though, Ted decides he can finally let go of Robin, and so he tells her about Barney’s plans. They argue over whether Robin still has feelings with Barney, but eventually Ted just drops her off at the World Wide News building anyway, where Barney is supposed to be proposing to Patrice on the roof.